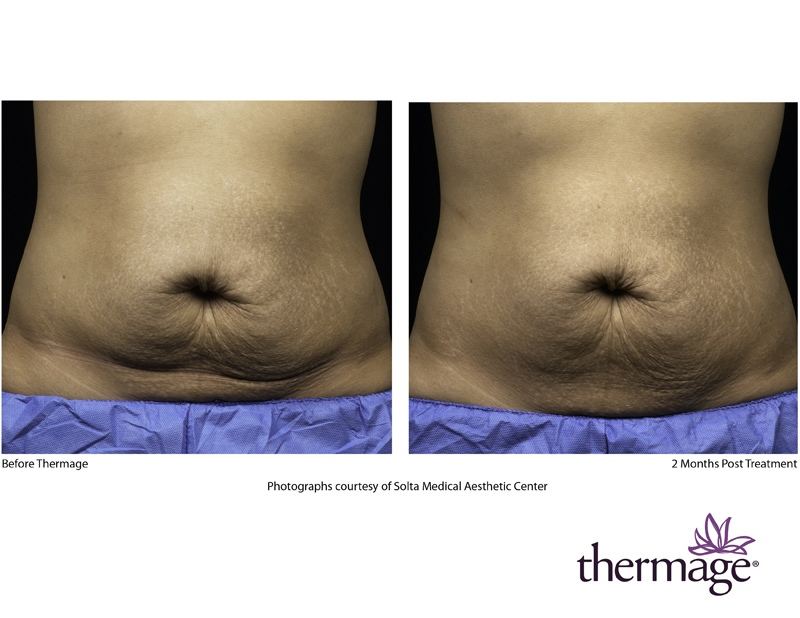 2 months post Thermage treatment. 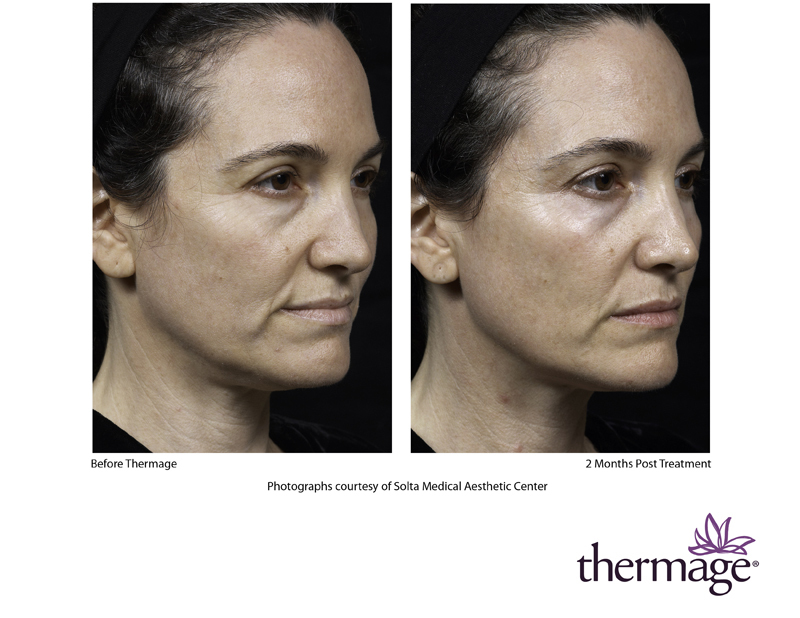 6 months post Thermage treatment on face. 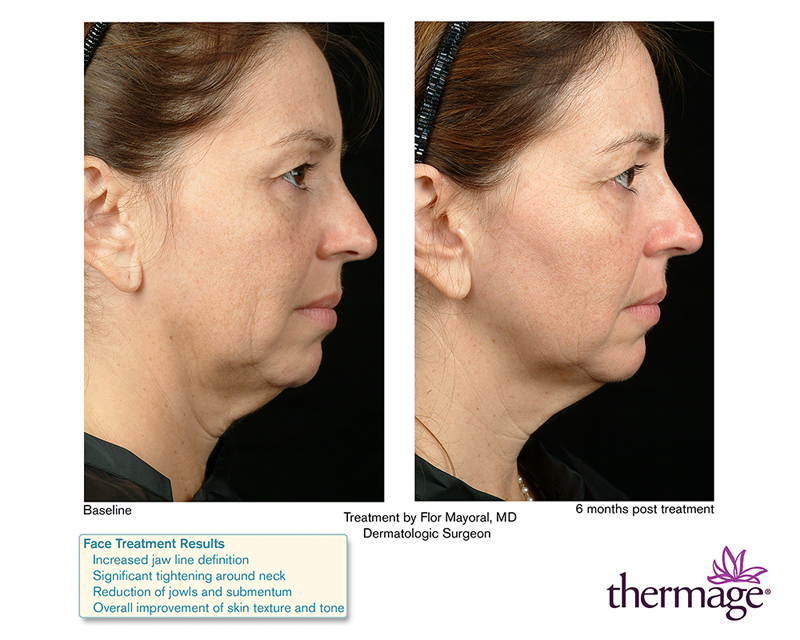 Results increased jaw line definition, tightening around neck, reduction of jowls, and improvement of skin texture and tone. Immediately post Thermage treatment. 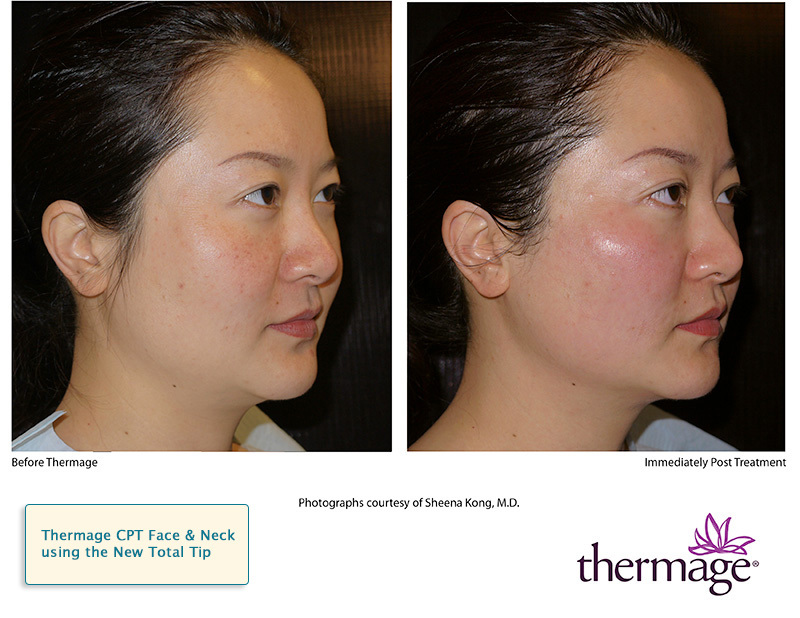 Thermage CPT face & neck using the new total tip.